China adoption is a safe, stable option when it comes to selecting an international adoption program. In fact, more than 75,000 children have been successfully united with their forever families through China’s adoption services. At Great Wall China Adoption, we pride ourselves in being a trusted leader in the placement of healthy and special needs children, having matched over 9,000 children with their forever families. If you have any questions, please call us at 512-323-9595 or contact us here. In the initial phase of the adoption process, GWCA’s adoption consultants will speak with your family to answer any questions that you have about adopting from China. At this point, our adoption consultants will provide you with free China Adoption Information Guide, help you figure out which adoption track (LID or Special Focus) would be the best fit, and review your family’s eligibility to make sure that it is in accordance with the CCCWA requirements. If there are any concerns regarding your family’s qualifications, your China adoption consultant will communicate with our China Division to verify your eligibility before moving forward. In addition to consulting families throughout the dossier process, GWCA offers a Dragon Dossier service to help with the preparation of the dossier documents. This includes gathering your documents for the CCCWA, getting them certified by the appropriate Secretary of State, and getting them authenticated by the appropriate Chinese Consulate or Embassy. One of the greatest differences between the traditional China adoption program, and the Waiting Child program is the matching process. While matches in the traditional program are provided by the CCCWA, families in the Waiting Child adoption program have the opportunity to play a role in their matching process. Each week new children are added to our China Waiting Child Photo Listing. These children are all available for adoption, and families can request their files by clicking on their photo and submitting their contact information. Once a family finds their child and has an approved home study, they can begin submitting their paperwork to request a match through the CCCWA. With GWCA’s travel services, each of our families is met at the airport by their China guide and accompanied throughout the country for the duration of their travel. 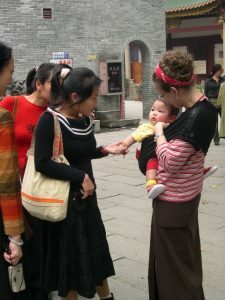 The trip also provides a scenic day-long tour of Beijing that includes opportunities to meet locals and take pictures. This time allows families get the opportunity to experience the culture and history of their child’s birthplace firsthand. The Great Wall China guides have an unparalleled reputation for excellence within the Chinese adoption community. Many of our families become so attached to their China guides that they continue to send letters and photos to them years after they have returned home with their child, and families adopting a second child from China often request the guide from their first adoption. Your Post Adoption Counselor will advise you and periodically send reminders about your post adoption reports. The purpose of each report is to let China and Great Wall know how everyone is adjusting to the adoption. The China Center for Children’s Welfare and Adoption (CCCWA) requires that six (6) Post Adoption Reports be completed over the course of five (5) years after the adoption process. 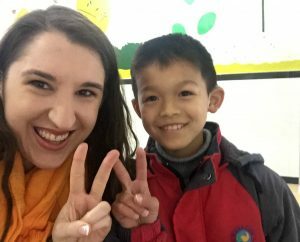 If you are interested in adopting from China again, GWCA would love to assist you with your second, third, or even fourth journey back to China! Please note that if you are planning on adopting within 12 months of your last adoption (regardless of where you adopted from previously), you will need to wait at least one full year between the finalization of your last adoption and being matched with a child with a kiddo from China. However, you can inquire beforehand and we would love to walk you through the process! I am considering adopting a baby girl from China. This girl was born last week and her parents cannot raise her. What kind of advice and service can you provide me in such a situation? Gowa, thank you for contacting us. Unfortunately we cannot help families adopt pre-identified children. We can only help families adopt children whose files have been submitted through the official channels to CCCWA, the governing body in charge of international adoptions in China. I would suggest contacting an immigration attorney to see if adopting a pre-identified child is possible. If you would like to know more about our Waiting Child China Adoption Program, please give us a call at #512.323.9595. Thank you and have a great day! I would like info on the waiting children from China.